ADDN responded to a call to provide input into the implementation plan for the Australian National Diabetes Strategy 2016-2020. The plan was endorsed by AHMAC in December 2017 where ADDN is acknowledged as a platform that allows sharing of clinical databases for clinical research on diabetes care. 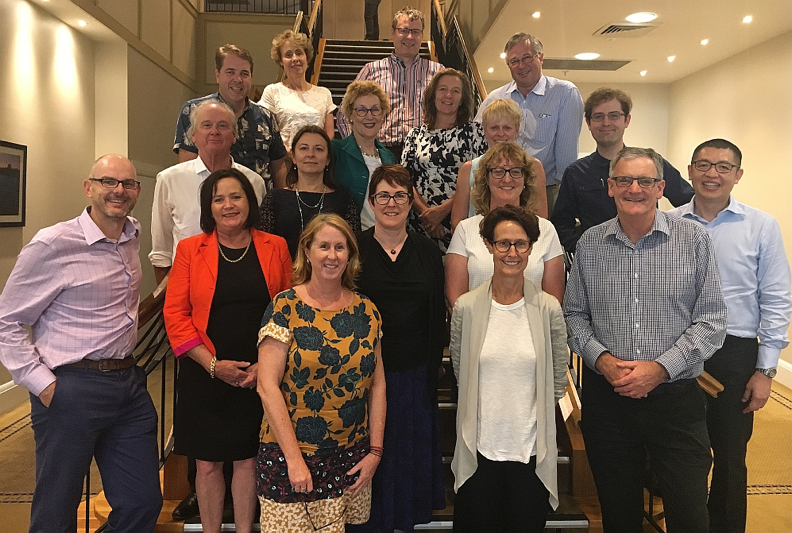 The inaugural T1D Summit was organised by JDRF Australia to connect patients living with diabetes, parents and carers with current research and clinical trials funded by JDRF. The Keynote address was given by JDRF’s Aaron Kowalski on the research progress in type 1 diabetes. ADDN was present to promote awareness that many of the research conducted could be underpinned by the ADDN diabetes patient registry. We congratulate the Department of Diabetes and Endocrinology at the Royal Melbourne Hospital which recently achieved the National Association of Diabetes Centres (NADC) Centre of Excellence accreditation awarded to applicants who have met the rigorous criteria as assessed by the NADC Accreditation Committee. The department was particularly outstanding in the areas of training, education and supervision, research, collaboration and engagement, diabetes foot management and diabetes technology. Pictured is Katie Marley, Manager Diabetes Education and Professor Peter Colman AM, Director Diabetes and Endocrinology at the Royal Melbourne Hospital. ADDN held an information session at the ADS ADEA Annual Scientific Meeting in August 2017 in Perth. This annual Scientific Meeting was attended by more than 1,000 delegates including patients and consumers involved in diabetes care and research. The ADDN mobile app is available to be downloaded from the iTunes Appstore. Use this app to compare your glycaemic levels (HbA1c) and body weight (BMI) with children from your age group who also have type 1 diabetes. This app compares your HbA1c and weight to the average HbA1c and weight of children and teens who have their diabetes information stored in the ADDN Registry. 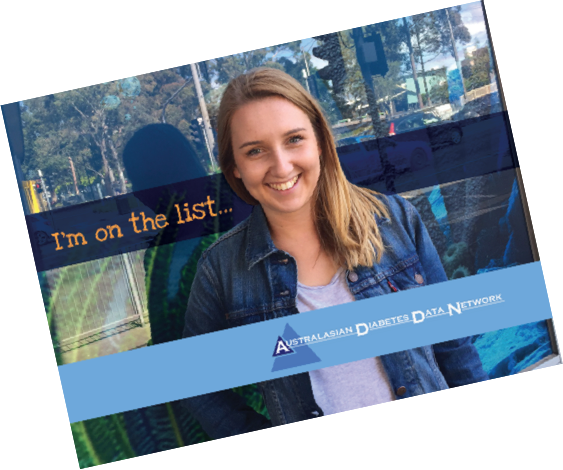 You enter your details to get feedback on how you compare with the ADDN group, and know whether to contact your diabetes team to help you aim for and reach a level of diabetes control that is right and safe for you, or help you towards reaching and maintaining a healthy weight. Give it a try! Professor Peter Colman, AM, has been awarded a Member of the Order (AM) for his significant service to medicine in the field of endocrinology, particularly diabetes research, patient education and clinical management. Prof Colman is one of four ADDN Principal Investigators and for the past 25 years, has been the Director of the Department of Diabetes and Endocrinology, the Royal Melbourne Hospital. Prof Colman’s depth of knowledge, expertise and prolific research activities place him at the forefront of global diabetes understanding. His significant commitment to research is internationally recognised. He is also the Chair of the Melbourne Health Human Research and Ethics Committee. Among his many leadership roles in health, research and academia, he is past president of the Australian Diabetes Society and served on diabetes advisory boards to State and Commonwealth governments. His commitment to advancing the understanding, treatment and prevention of diabetes is both ground-breaking and tireless. The first face-to-face ADDN Steering Committee meeting for 2017 was held in Sydney on March 21st. Commitment by all of ADDN’s stakeholders was shown by the attendance of nearly all members of the Steering Committee from Australia and New Zealand, including participation from JDRF, APEG and ADS. Membership is based on the newly formed governance structure which aims to have equitable and transparent representation from all jurisdictions.